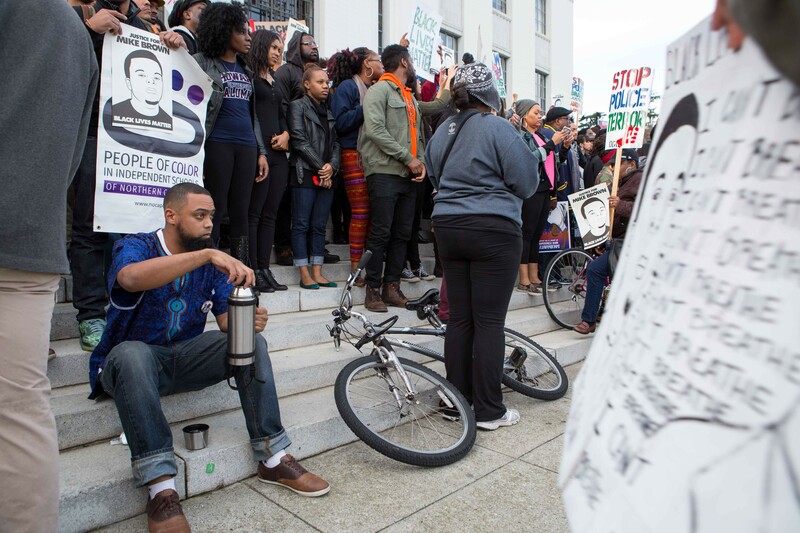 On Saturday, activists from the BlackOut Collective, who shut down the West Oakland BART station, Black Brunch and other East Bay community activism groups organized a demonstration called Millions March in Oakland. 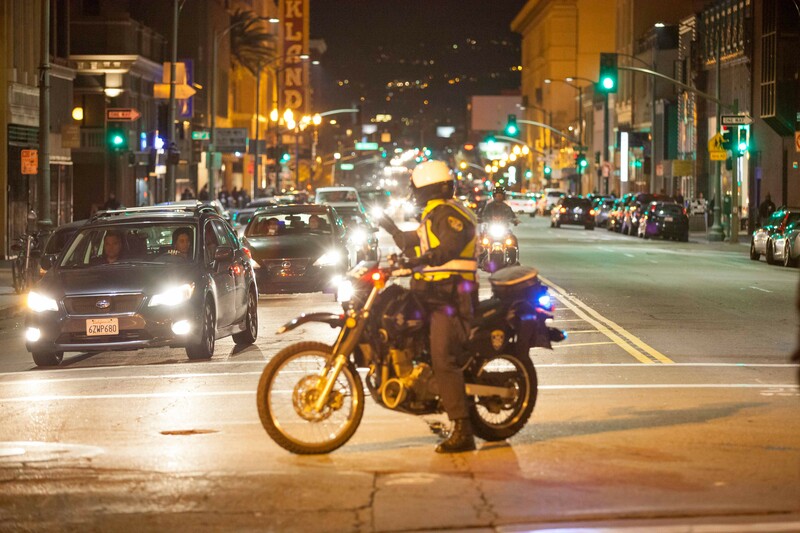 Events bearing the same name also happened in San Francisco, New York and Washington, D.C. 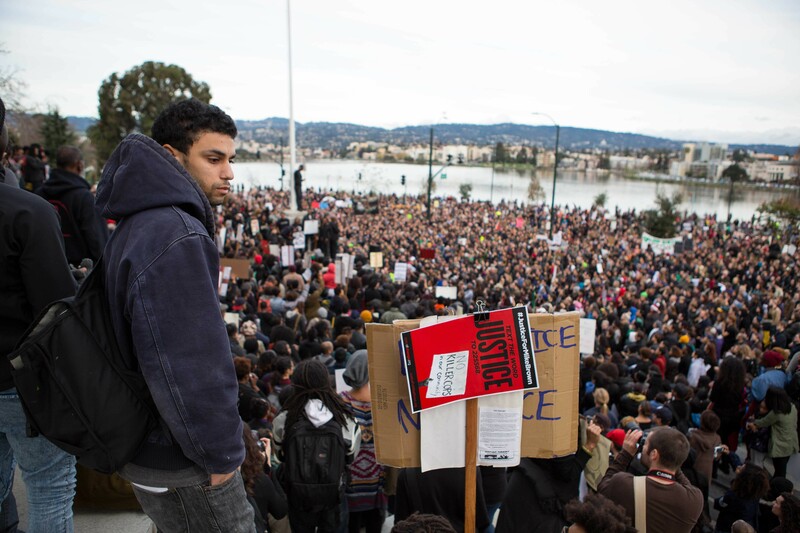 The march started at Frank Ogawa Plaza, then moved to the steps of the Alameda County Superior Court where demonstrators gave speeches and recited poetry that indicted racial injustice in the U.S. and advocated for reform. 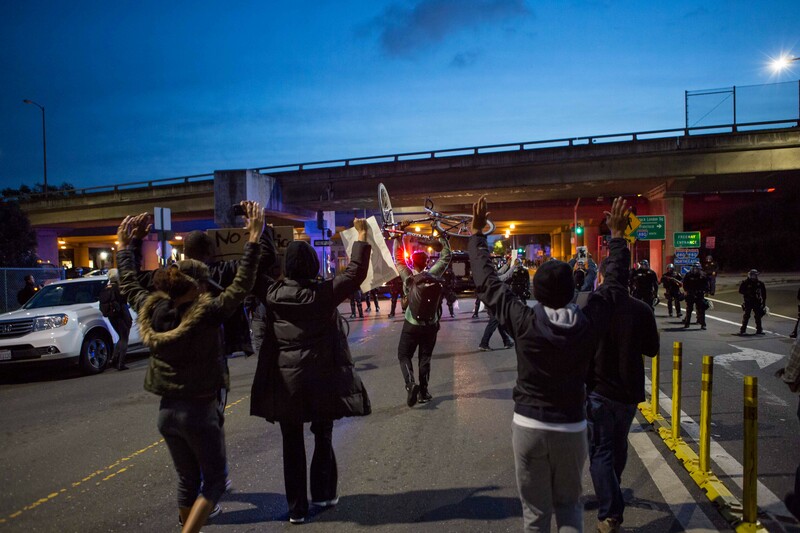 After the speeches, the protest wound its way back and forth through downtown, Old Oakland, and West Oakland, as demonstrators unsuccessfully attempted to gain access to the 880 and 980 freeways. All photos by Bert Johnson, special to the Express. Organizers began the march with a briefing at Frank Ogawa Plaza, which included this list of requests for white supporters. 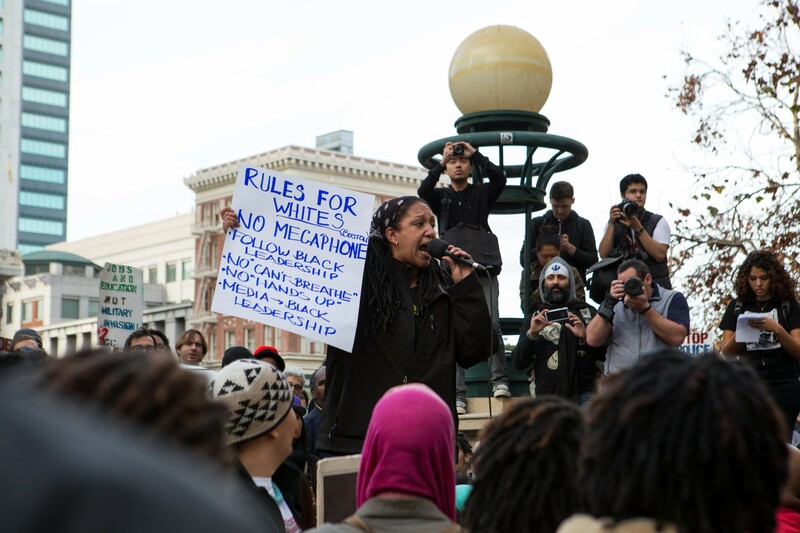 During the speeches, space on the courthouse steps was reserved for non-white demonstrators. 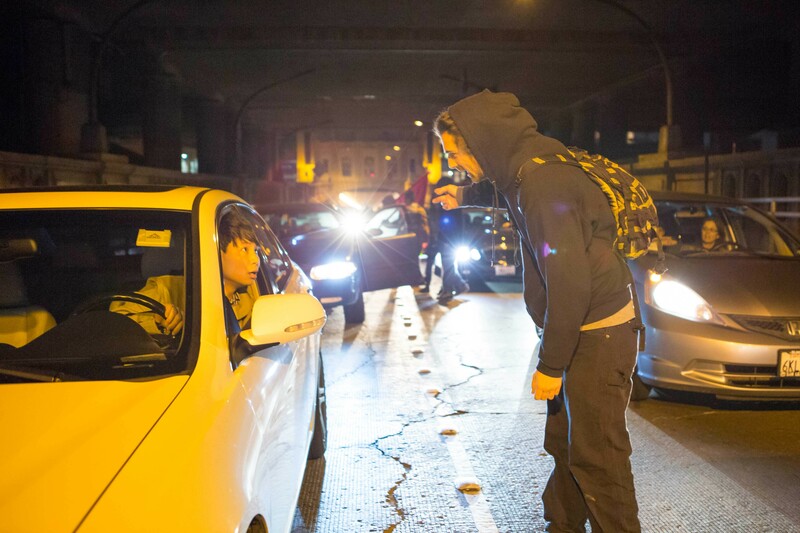 Demonstrators attempt to gain access to I-980 near Jack London Square. 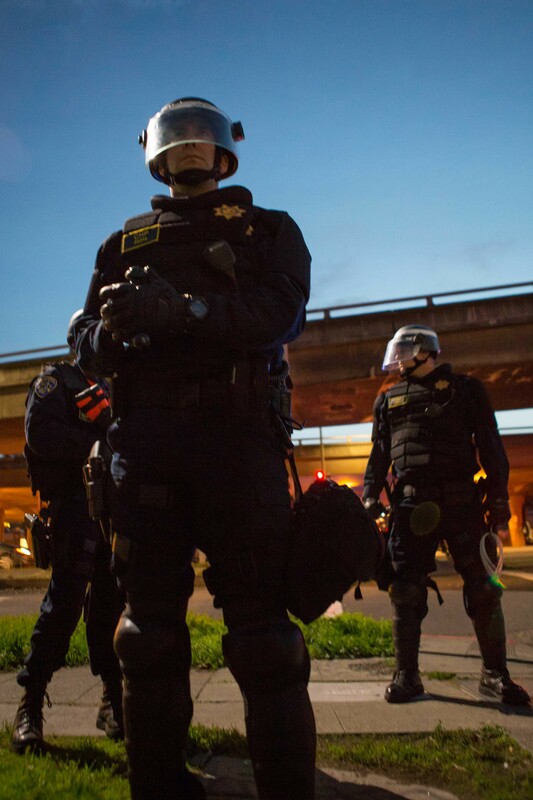 CHP officers and Oakland police block protestors from mounting the onramps. The demonstration blocked the Webster Tube for nearly an hour after marchers failed to gain access to the freeway. 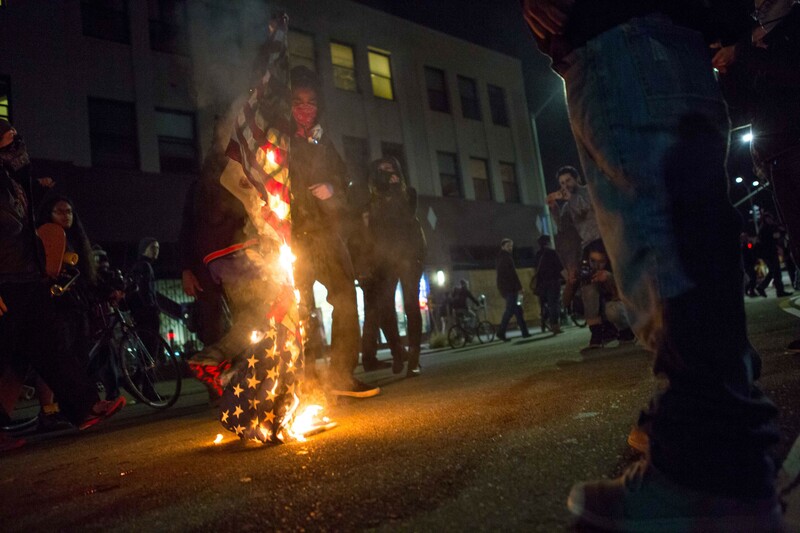 Toward the end of the march, protestors burn an American flag on Telegraph Avenue. 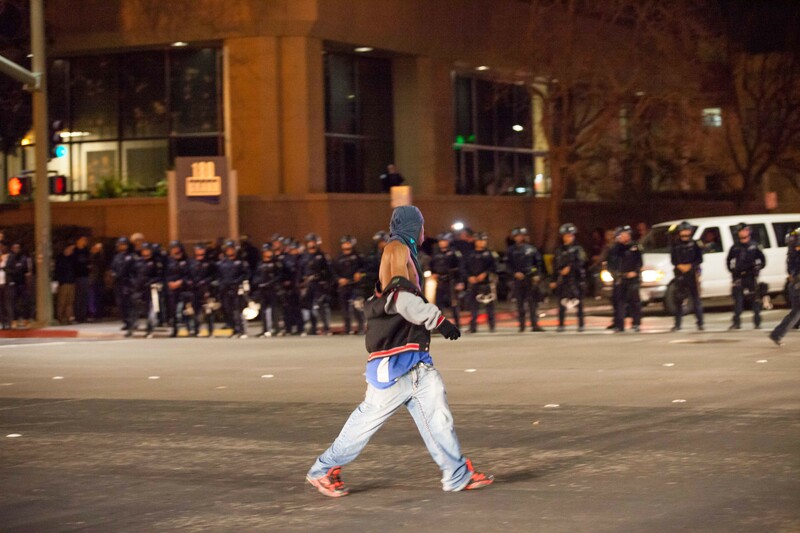 A lone demonstrator faces off with the police after they ordered marchers to disperse.